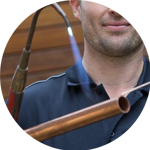 Since 2005, The Handy Squad have been successfully completing a wide range of plumbing tasks in Highgate to an exceptional standard. 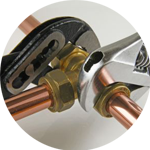 We have a team of reliable plumbers who will be able to complete any job in a timely manner and at fair prices. The level of expertise and knowledge our plumbers have in their locker is unmatched. 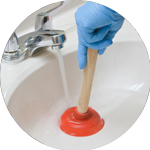 No matter how arduous or difficult the task may be, our team of plumbers will be able to take care of any plumbing issue within both commercial and domestic buildings. 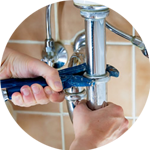 Your Plumber in Highgate will be able to offer assistance with anything related to; Replacements, Unblocking, Installations and Repairs. Highgate is a suburban area located within the northern area of London. 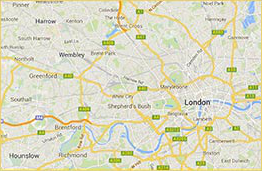 The area is known for its many green expanses such as Hampstead Heath and Waterlow Park. The Handy Squad is proud to offer much more than plumbing in Highgate. We also have a Handyman in Highgate available, ready to take care of any general trade tasks for homes and work places. They have a diverse skillset which includes; Flat Pack Assembly and Tiling. If you need any electrical tasks to be completed, we have an exceptional team of highly trained Electricians in Highgate. They will be able to utilize their unquestionable level of precision and care to complete arduous electrical tasks both safely and securely. They can assist with; Fault Finding and Repairs, Lights, Replacements, Installations and Electrical Installation Condition Reports. To book your handyman, electrician, decorator, carpenter or plumber in Highgate, fill out the Online Booking Form.